Yesterday I began to notice in my Google Chrome browser a certain slowing down of the mouse when opening new pages; you know, that feeling that the mouse is dragging. Furthermore, I also notice certain web pages opening when I clicked on links or even accidentally just clicking on random points of the page. The pages that opened were all related to this one site, EDIT which, despite the URL, is actually operated from an ISP in Phoenix, Arizona. He or she has 128 different domains registered, and I blocked them all in Google Chrome, but it was no good. Sometimes the tab opens so quickly and closes again that I have no chance of identifying the URL. It's definitely adware because later on I was treated to some advertising I had no interest in or came from a click on a link in YouTube, for example. I have used Spybot, Malwarebytes, Microsoft Security Essentials and ZoneAlarm and none of them have picked up any underlying or potential threat. Google produces 20 hits, all related to domain name registry pages - in other words, there is no mention of this or similar URLs in any forum, or blog, or any other site that I know of and I thought, typical, the problem I have is completely unique and I am not able to find any help for it. I just wonder if anyone here has heard of it, or similar, and have any suggestions for solutions to this problem? I will be most grateful for any assistance that could be provided. I will do anything I can to help someone in return. In case you missed it please see the FAQ which includes instructions in post #2 on how to provide the logs from Farbar Recovery Scan Tool and aswMBR, which are the logs used in the preliminary analysis. 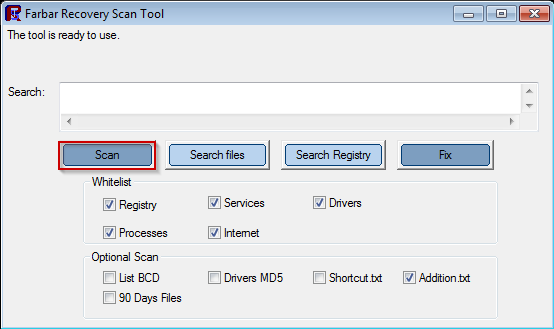 Follow the instructions below to download and execute a scan on your system with FRST, and provide the logs in your next reply. Note: Only the right version will run on your system, the other will throw an error message. So if you don't know what your system's version is, simply download both of them, and the one that works is the one you should be using. Please do not PM me for Malware help, we all benefit from posting on the open board. Due to lack of feedback this topic is closed.